Tokyo Station is a beautiful grand old building defined by the traditions of late Victorian England and wouldn't look out of place in London. It is just emerging from under the covers of what seems to have been a decades long refurbishment and is, to be honest, looking spectacular for it. 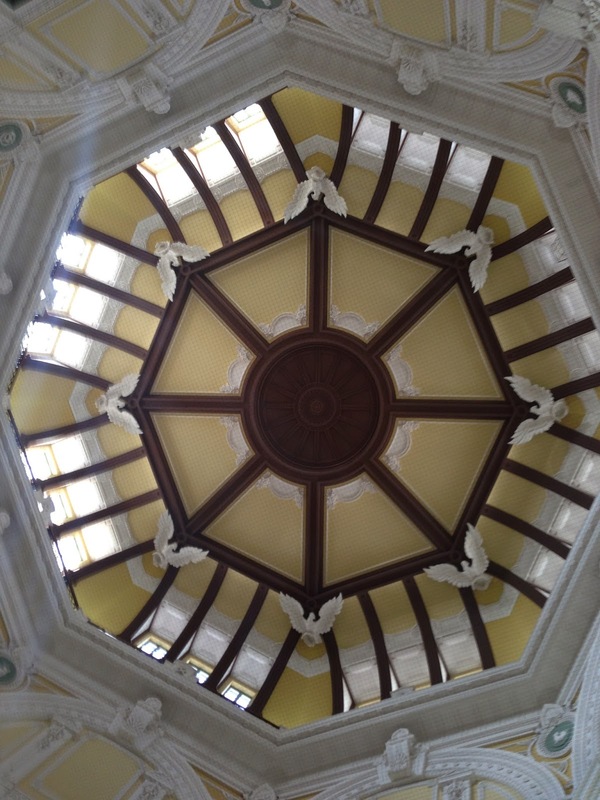 Walking through the north entrance hall of the Marunouchi gate this morning, which is uncovered for the first time I can remember, I was surprised to see a beautifully ornate domed ceiling, decorated with alabaster doves at the foot of each buttress. The only problem was that the rest of Tokyo had decided to use Tokyo Station this morning too. As far as I could see there were ski-suits and gear bags occupying every square foot of the hallways of the building. Every teenager in Japan would appear to have decided to go skiing with their friends this weekend. Edging through the crowd I finally made my way to the entrance for the Nagano Shinkansen only to find it appears to have moved. Where the gates used to be there is now the ticket desk and where the main ticket desk used to be is now a plasterboard wall. And did I mention that every teenager in Japan had decided to go skiing this weekend. Having bought my ticket and with a few minutes to spare I made it to the train. And here I am, sitting in a seat which is reasonably comparable to business class on a mid-haul flight. My lap top is plugged in and charging as is the phone, and my seat is gently reclined using the electronic controls. The teenagers are all off in the cheaper, unreserved carriages so suddenly the ski poles have disappeared and I can sit and relax for half an hour and wait for the food trolley to arrive. Travelling can be stressful at the best of times but if your worst problem is having to wait for your morning coffee, then it’s really not that bad. And someone has just texted to say it’s on its way.